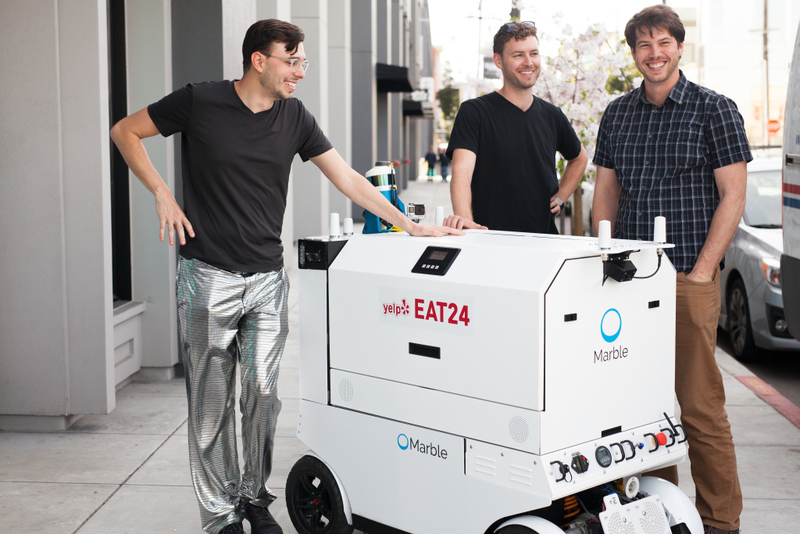 On the winged heels of DoorDash’s robot delivery rollout in Redwood City, California, Yelp Eat24 is announcing its own plot to deliver food using locked boxes on autonomous wheels. The company is partnering with Marble, a robotics company that hopes to usher in the future of local delivery. For the time being, Marble-made deliveries will be limited to San Francisco’s Mission and Potrero Hill neighborhoods. The launch comes after both DoorDash and Postmates announced robot-assisted delivery experiments in January. DoorDash has since officially added robotic deliveries to its Redwood City fleet. Side note: What’s up with the aluminum pants in the photo below? Hit me up at @RuthReader your opinions on Twitter.